Will major order provide UK springboard? Thought to be the biggest order ever placed for Turkish built right hand drive buses, the deal for 143 Otokar Vectio C low entry service buses placed by Malta Public Transport (the new operator that took on the Maltese bus network earlier this year) is a significant one for the manufacturer, for Malta and potentially for Otokar’s ability to offer products of relevance to UK operators. 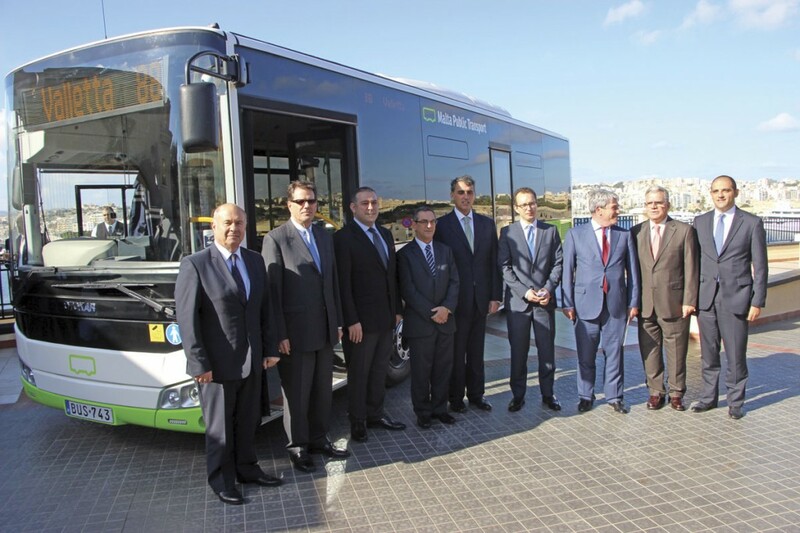 Stuart Jones joined Otokar Europe General Manager, Ali Murat Atlas; Otokar Europe’s Marketing Manager, Denis Toublanc; and International Sales & Marketing Manager, Berkan Saglam, in Malta last week to attend the handover of the final bus in a ceremony at the Excelsior Hotel in Valletta, where he also met the Chairman of Malta Public Transport (MPT), Felipe Cosmen; MPT General Manager, Konrad Pule; and the Maltese Minister of Transport and Infrastructure, Joe Mizzi. 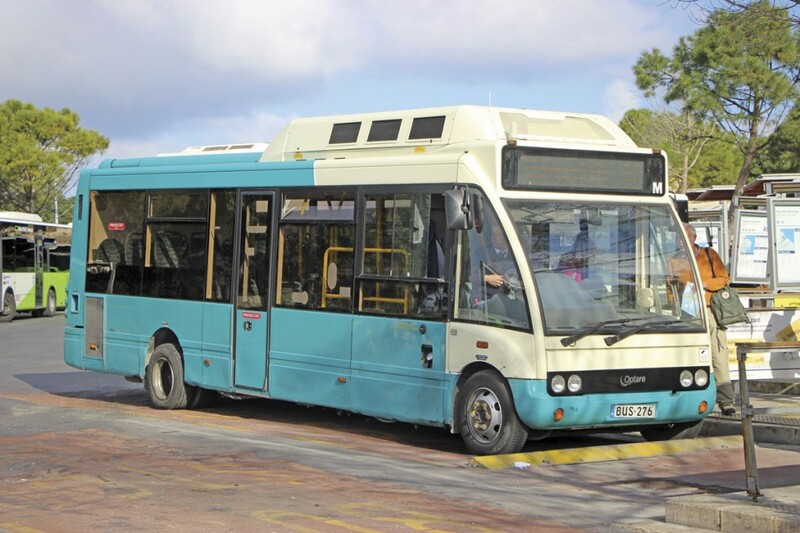 UK readers will be familiar with the old buses that used to provide the public transport network in Malta. Many had previously worked in the UK and some had extravagantly styled locally built coachwork on chassis that dated back, in some cases, to before the Second World War. These step entrance buses had mainly been owned by individuals or small companies but in the late 1990s and early 2000s the Government sought to introduce modernity and in around 2003 sponsored the acquisition of large numbers of low floor buses, most of which were of BMC or King Long manufacture, though there were others besides, the first delivered being a manual gearbox Optare Excel. In 2010, bids were invited for operators to take on the whole of the Maltese network and Arriva won the contract, purchasing a large fleet of Chinese built King Long buses in two lengths for the task, as well as a batch of Optare Solo Hybrids, two VW based Bluebird minibuses and a fleet of ex London Mercedes-Benz Citaro artics. 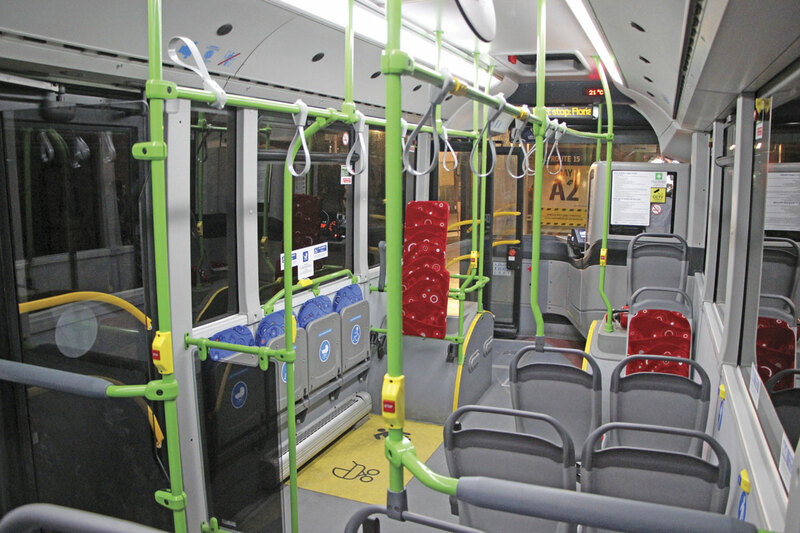 Unfortunately, for a variety of reasons including the Maltese Government’s decision in 2013 to ban the use of the articulated Citaros, and a failure to agree subsidy prices with the Government for extra mileage it wanted to add to the network, Arriva handed back the contract in January 2014. It sold the operation to the Government for ¤1.00 in a deal that also saw it take on other responsibilities totalling ¤9m. 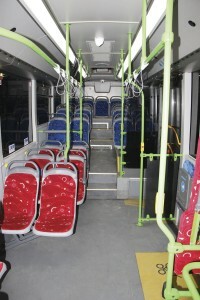 A new company called Malta Public Transport was created by the Government. 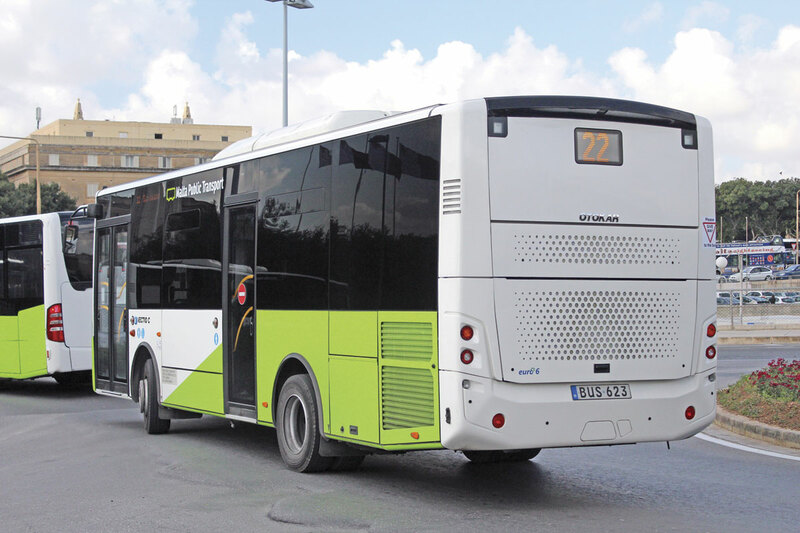 After a while running it itself, the Government issued a new invitation to tender for the revised Maltese bus network including the extra mileage. 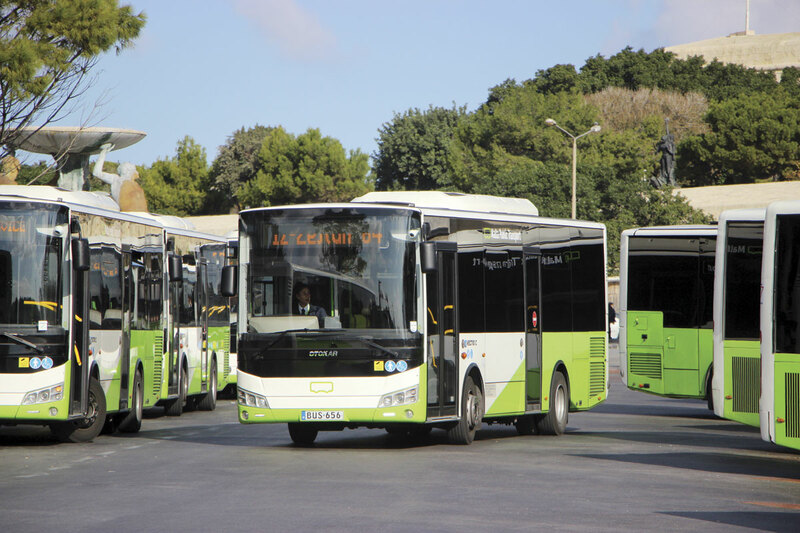 In January 2015, Autobuses de Leon (ALESA) was announced as the successful bidder for a ten year tender with a possible five year extension in a tendering process that had come down to a choice between it and a Maltese consortium that unsuccessfully challenged the decision. The agreement will see the Government pay an annual subsidy of ¤22m in 2015 (for 2016 ¤30m). 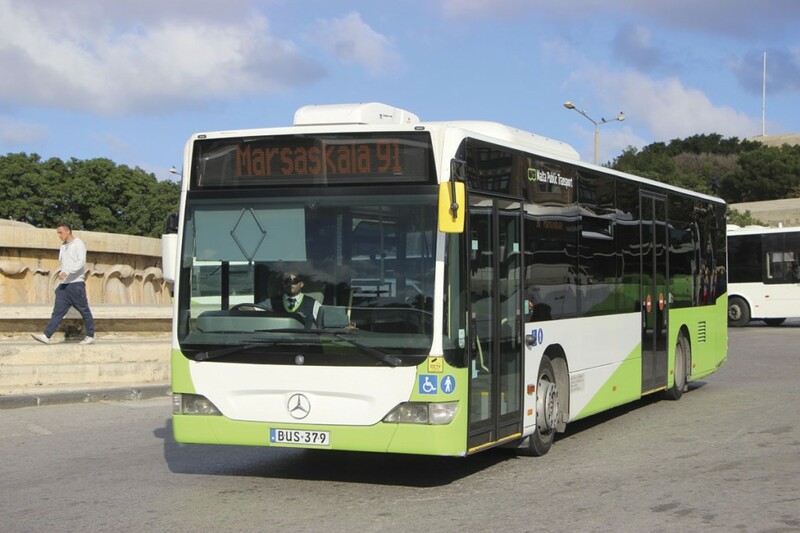 As part of the deal, the Maltese Government was also paid ¤10m for Malta Public Transport and it now trades under that name using a revised livery of white with light green that has rapidly replaced the old Arriva colours with all but eight of the fleet repainted at the time of visiting, the remainder being completed by 14 December. Joe Mizzi explained that the Spanish deal was treated as the preferred bidder because it also involved purchasing MPT, and the Maltese offer, which would have required a subsidy of ¤40m annually, did not. Autobuses de Leon is part of Group ALESA-ALSA, the many faceted multi national business owned privately by the Cosmen family, which in 2005 sold its listed ALSA Spanish bus and coach operations to National Express, an organisation in which the family continues to hold a stake. There is no National Express financial interest in MPT which is one of a number of transport interests around the world, including in Hong Kong, Thailand and South America, which the family owns privately. Chairman of Malta Public Transport is Felipe Cosmen, part of the Spanish family dynasty that has been involved in transport for 13 generations going back to 1728. Felipe is one of eight Cosmen brothers, another of whom, Jorge, is the Deputy Chairman of the National Express Group. Likening it to the situation with Sir Brian Souter’s ownership of Souter Investments (e.g. PolskiBus, Instanbul Ferries) and a number of other transport operations globally, Felipe explained that although all of the brothers own shares in the company there is no legal link between the family businesses and National Express. As Felipe Cosmen pointed out in his speech, Malta has one of the highest population densities in Europe and the importance of the bus will grow in coming years. The population is currently 423,000 on an area covering 316 sq km (Malta, Gozo and Comino). Felipe explained to me some of the changes introduced and needed to make the business a success in the long term, because his company was in it for the long term. 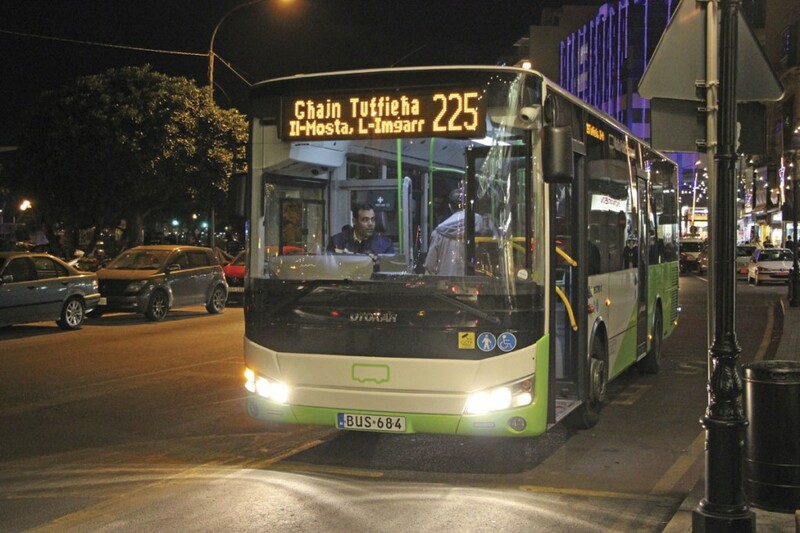 He said the company had invested more than ¤25m already in new buses and new IT systems to increase the availability of buses and make travel easy for passengers, but it still needed to increase its partnership with Transport Malta to improve public transport measures in order to develop a high commercial speed and traffic priorities and other solutions to move private car usage to the buses. Most customers now use smartcards, with over 85% of revenue through Tallinja tickets. Personalised student cards offer 30 days travel for ¤21. As well as personalised cards, you can also buy 12 single day journey cards for ¤15 with each journey giving two hours travel. For adults the maximum monthly cost using Tallinja is ¤26. For concessions, the fare is 25 cents with a daily cap of 50 cents and a weekly cap of ¤2.00. Giving Felipe the confidence that his business can succeed where Arriva did not are a number of factors. Apart from the electronic ticketing revolution, the new routes and frequencies have been introduced to create a different network that is better suited to the customers, and there is a mechanism for any necessary changes to be made. Importantly, the level of subsidy is also considerably higher than Arriva was getting. Alongside investment in additional buses, there had been major investment in new staff with the number of drivers increasing from 545 to more than 900. When everything is complete, the number of staff will have increased from around 800 to around 1500 including the engineers and electricians taken on to look after the buses, rather than using contracted services. The approvals have not yet been obtained but the plan is to build new workshops with investment to improve the inherited maintenance system in the interim. Management is at a local level, with the freedom to act and tackle the local issues and priorities, overseen from Spain. The key local management roles are held by Maltese nationals under General Manager, Konrad Pule; Commercial Manager, Daniel Grech and Human Director, Roderick Bajaba. Asked about driver standards, he said there was a Mediterranean mentality. ‘We have to improve our skills and focus on safety issues. It’s a cultural change in behaviour and attitude. It’s a long term run. We have to train people and make them understand that running a bus involves taking care of 70 passengers and their lives are in your hands. It’s a critical issue but it won’t be solved in two years. 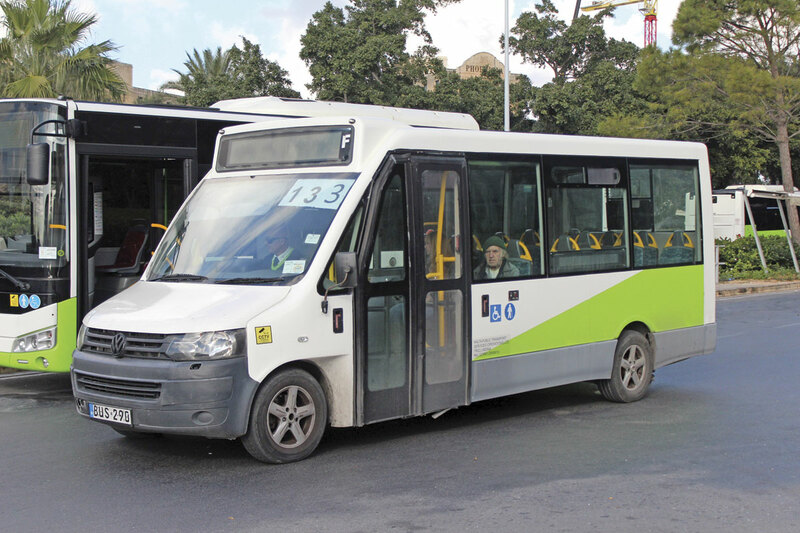 We have to keep on.’ He added, ‘Driving a bus in Malta is not easy, which is one of the reasons we have to reinforce our relationship with the authorities.’ He explained that every Otokar bus has a camera system that takes pictures of illegally parked cars obstructing buses. These images can be relayed in real time back to a control centre so that something can be done about them, and whether a fine will be issued. With the Maltese economy doing well, recruiting is difficult and new drivers have to be trained. With those who have left there is a need for something like 500 more and the focus has been on women looking for part time employment. Females now account for 9% of the driving force. They have also recruited overseas with Czechs, Bulgarians, Italians and some Brits in the team, as well as a growing number of Spaniards. They are still recruiting drivers from continental Europe and encourage drivers to submit their CV if interested. He said that with the early investment required, the company was not currently making any profit, though he was confident it would be by the end of 2016. There remains a lot to achieve before everything is in place for MPT to be a success, as Felipe readily admitted. Crucial, will be a new agreement with the unions. At present the agreement with staff is the one Arriva signed in 2011. The company is keen to negotiate a new collective agreement but a problem has been that the regulations state it must be done with the union that has the most members. It had been talking to one union and thought it had reached an agreement when another union claimed that it had the most members. It turned out that this was marginally the case so, on the day before I spoke to Felipe, MPT had announced that it was to recognise the UHM rather than the General Workers Union. After a Christmas recess negotiations will begin and hopefully these can be concluded within a couple of months. One advantage MPT has is that being a family owned business means there is no pressure from the market. ‘We are here to remain, if possible, for many years’, Felipe said. The order was originally for 142 buses, though Otokar has actually delivered 143, with the additional bus being the one handed over in last week’s ceremony. 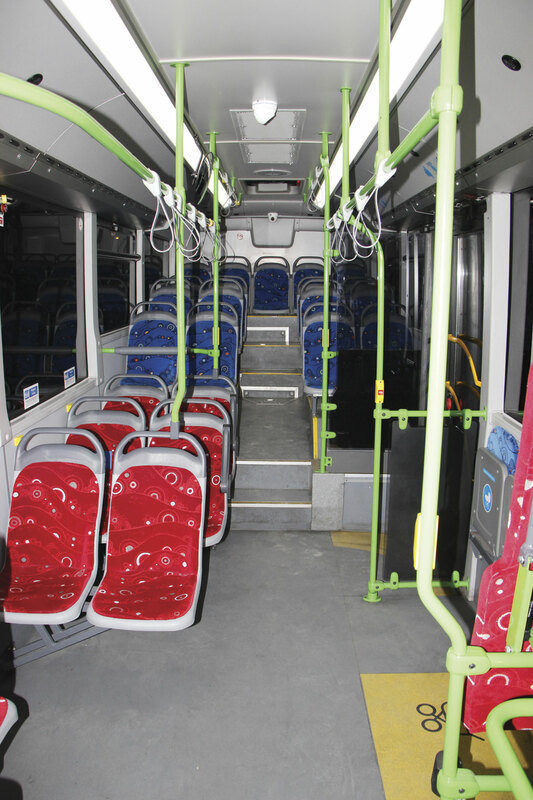 To meet Malta Public Transport’s requirement for a double width front door, Otokar extended the front overhang of the Vectio C, increasing the overall length of the bus from 9.4m to 9.6m. The first 40 buses were delivered on 1 July with further batches arriving in August and September and the final deliveries in December. All are to the same specification. Powered by 250hp six-cylinder Cummins 6.7-litre engines, the Vectios have Allison T280R automatic transmissions, one of a number of options Otokar offers in the Vectio. They have Spanish built Dana rear axles and Voith independent front suspension systems. Air conditioning is from Sutrak, Hanover supplied the destination equipment and the majority of the other systems including the CCTV cameras, card ticket machines, GPS tracking and reverse cameras are either entirely from QUANTOBIT, another Spanish manufacturer, or developed jointly by the operator and other suppliers. The unladen weight is 8.65 tonnes and the design GVW is 15 tonnes. A 350kg capacity manual ramp is installed at the front door. Handily, with all MPT buses registered with BUS prefix registration, the Otokars have been registered consecutively from BUS601 making the last Vectio BUS743. Felipe said with the new deliveries, the current fleet had grown to around 360 buses, which was around 130 more than Arriva had been operating. As well as the 143 Otokar Vectio Cs, there were ten hybrid Optare Solos, 174 King Longs purchased by Arriva in 9m (49) and 12m (125) lengths, the pair of VW Crafter based Bluebird minibuses, around 30 automatic gearbox low floor buses that predate the Arriva era and 30 rented Citaros. He revealed that the 45 buses (22 Volvo Wrightbus and 23 Optare Solos) that had been rented from Dawsonrentals had been sent back to the UK, the last batch having departed in September. The batch of 12m Mercedes-Benz Citaros formerly used at Heathrow is being rented from Dawsonrentals for a year and is scheduled to go back after the summer. ‘They are doing OK but maybe the maximum is 12.5m here, because longer vehicles than that are not workable in Malta from my point of view,’ he said. Arranged to celebrate the completion of the Vectio C order, the day turned into a double celebration for everyone concerned because literally minutes prior to the press conference a further deal for new buses was concluded. This calls for 33 Otokar Kent dual door low floor single deckers. They will have six-cylinder Cummins engines and Voith DIWA automatic transmissions. Fixed Kiel seats for 37 will be provided along with four tip-ups though the standing capacity had yet to be defined at the launch as it will depend on the finalisation of the layout. All will be in service by July. Felipe said that the new buses would replace some of the older vehicles taken over with the company that were not currently being used. He revealed that there are also other options to purchase additional vehicles if necessary. 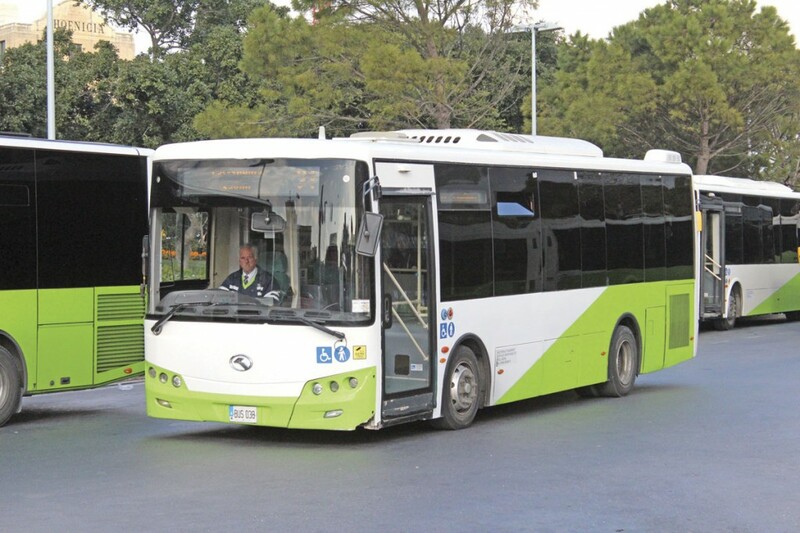 To get an idea of how they perform, I took advantage of a ride from Valetta Bus Station around the bay to Sliema on one of the new Vectios that had been in service for around three months, taking advantage of a 12 journey Tallinja card that I had been given by Konrad Pule. It was a reminder of how poor many of Malta’s roads are, as even a welcome new section of dedicated bus lane appeared to have a corrugated surface. Despite this, the Vectio C was totally without body shake or shimmer and there were no rattles, which was quite a surprise to me. The six-cylinder Cummins engine was commendably quiet and appeared to be well matched to the Allison box. A clock and temperature display were provided for passengers along with a scrolling digital next stop display, and though the stops shown were accurate the service number mentioned was different to that shown on the front of the bus. I noticed that the majority of those using the early evening departure were women and most if not all of the available seats were taken by the time we left Valetta’s bus station, which does raise the question of whether the Vectio Cs will prove big enough when the summer crowds arrive. I am not surprised that the latest orders specify the Kent rather than more Vectios. It is quite a climb to the rear of the bus, with four steps between the low floor centre section and the rear seat row, but this did not deter passengers at all. Another element that was up to the job was the heating and air conditioning, with a comfortable ambience maintained. The single centre door requires people to leave in single file and this seemed to work well. The Tallinja card, which has to be touched on the machine next to the driver, worked well, and when I boarded a different bus to return from Sliema, the machine’s screen indicated that this was a transfer rather than using another of my 12 journeys, because there is one charge for 120 minutes of travel after the initial connection to the system (system allows interchanges of buses within two hours). Talking with Transport and Infrastructure Minister, Joe Mizzi, probably the most approachable Transport Minister I have ever met, he said that he had thought it would be hard to change the culture of cash payment, especially for old people. What had changed people’s minds had been making applying for the card free of charge until the year end. ‘They realised that you were charged extra if you paid on the bus and then everyone wanted one. There weren’t enough outlets for the first few days,’ he said. From 2016 the card will cost ¤5. 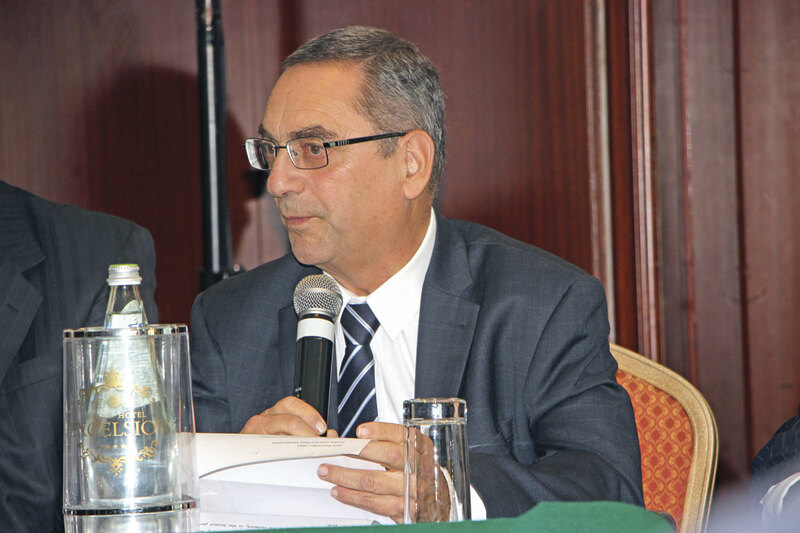 He pointed out that the old system that charged non Maltese residents more than locals had been abolished in January 2014. Fares across the network had stayed the same but had become cheaper using the card. It was open to MPT to renegotiate the fares if the cost of living rose. Although it is envisaged that the Maltese specification Vectio C will provide the basis for a UK product, Otokar recognises that a number of other options would also be necessary. 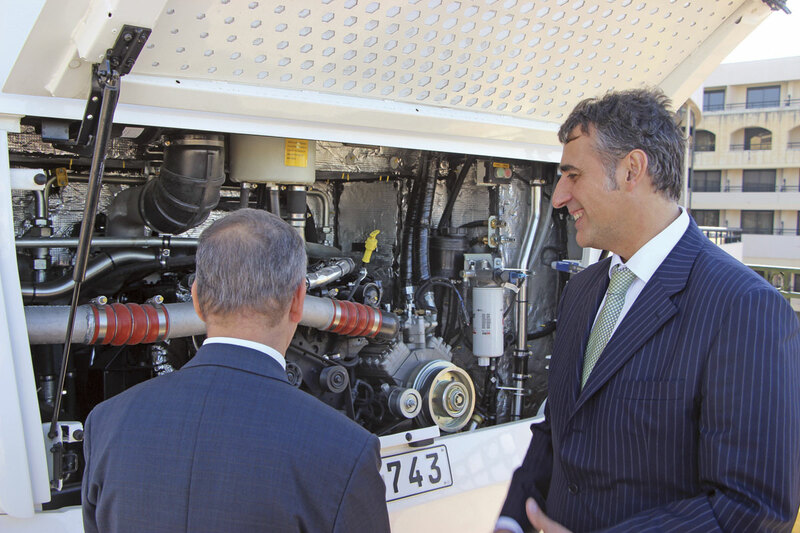 One it plans to offer is a four-cylinder Cummins engine as an alternative to the six-cylinder unit specified in the Maltese buses. 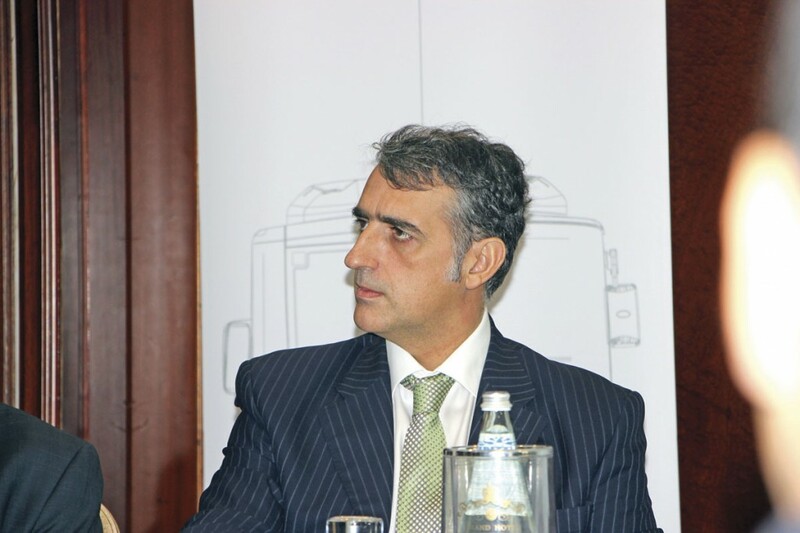 Ali Murat Atlas made it clear that Otokar is very serious about entering the UK market but also explained that demands on engineering capacity, because of success in Europe but more particularly the switch from Euro5 to Euro6 in Turkey in 2016, mean that it has not been possible to be as fully focused on the UK and Ireland as they would have liked. ‘It is not a market where we can just supply what we already have,’ he said. ‘The UK market for us is quite complicated with a lot of very nice vehicles that we can learn from’. When I visited the plant in January I said that I thought the 8.4m long Navigo T midi coach represented the better opportunity for entering the UK market in the short term, as the combination of the specification, capacity and £109,000 price ticket make it very competitive within that, admittedly already well served, market. Having exhibited right hand drive examples of the Navigo T and Vectio C at the NEC in 2014 the company has listened to the criticisms levelled at the Navigo at that time and introduced a number of modifications. These have been incorporated in a demonstration coach that is already in the UK where it has joined the Navigo T first shown last year. The most significant among the changes is a 20% extension of the luggage area taking the capacity to 3.69cubic metres. 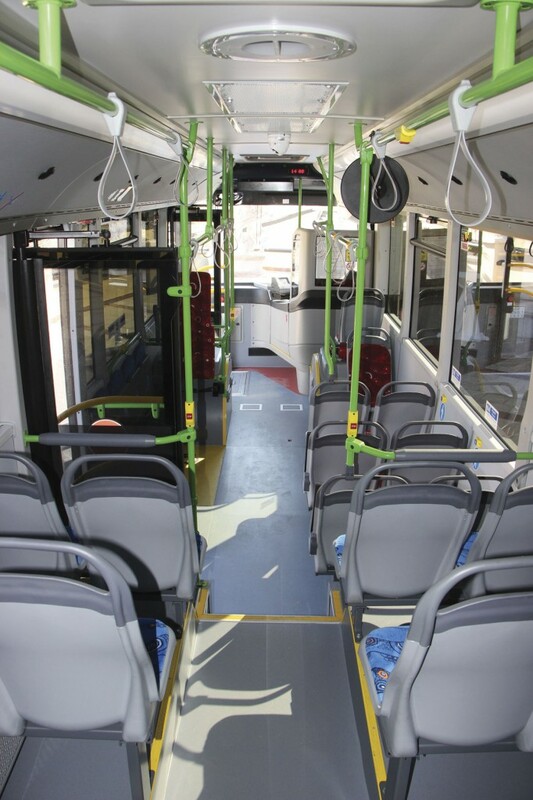 There is also a one person increase in the total passenger capacity to 37 which has been achieved by relocating the emergency exit door from the rear offside to just ahead of the rear axle on the offside. This overcomes the awkward single seat next to the emergency door arrangement of the original coach. The Otokar team has spent some time looking for a suitable UK dealership partner and Ali Murat Atlas told me that he anticipated making announcements concerning the UK and Ireland, where there is considerable interest, ‘in the next couple of weeks.’ They will be primarily concerned with small coach sales because, as Ali admits, ‘I think we will have to deal direct with the bus side. We still have a long way to go. We will try but we need some development and will have more engineering capacity next year. We need a longer version and we have to develop the Vectio into a family.’ Asked whether he foresaw any opportunity to reduce vehicle weights he said, ‘not at the moment.’ He sees Otokar’s position as potentially that of a niche player. 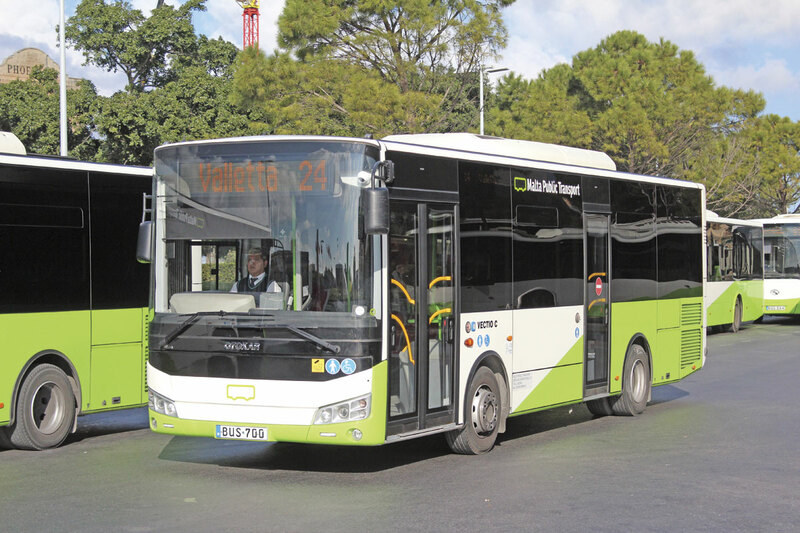 Incidentally, the right hand drive Kent and Vectio buses shown in Birmingham in 2010 have not been wasted, both have found new homes in the Turkish Republic of Northern Cyprus. Although the specification of that Kent did not match UK requirements, consideration is being given to building a new right hand drive demonstrator. It was not clear whether this will be one of the vehicles on the company’s stand at EuroBus Expo in 2016. Though I have to admit that while I loved the infinitely varied collection of museum pieces that provided Malta’s bus services for so many years, they were decades past their sell by dates and whilst they bought a certain charm to the island’s streets they did not provide either the accessibility or reliability required of a modern bus network. 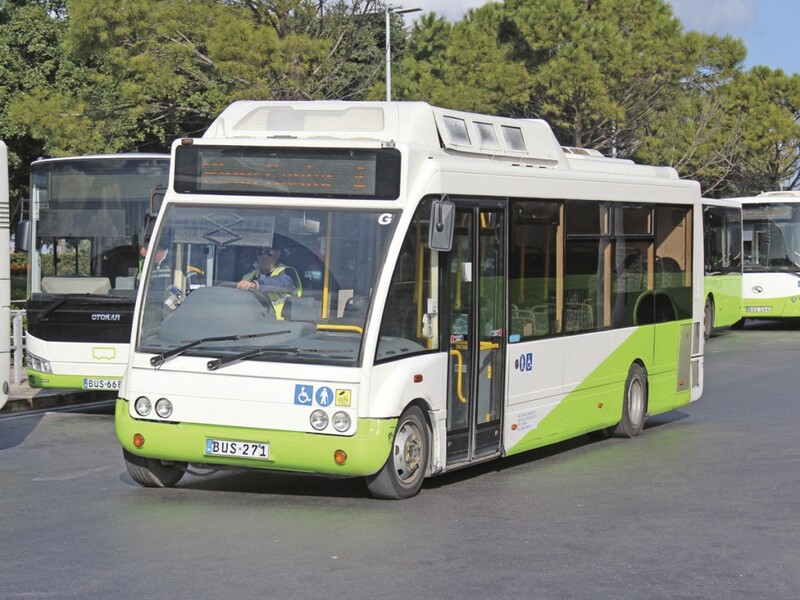 The past decade or so since the introduction of low floor vehicles began, and in particular the last five years since the start of network franchising, have been turbulent for Maltese bus operations and Arriva paid a high price for its ultimately unsuccessful involvement in it. 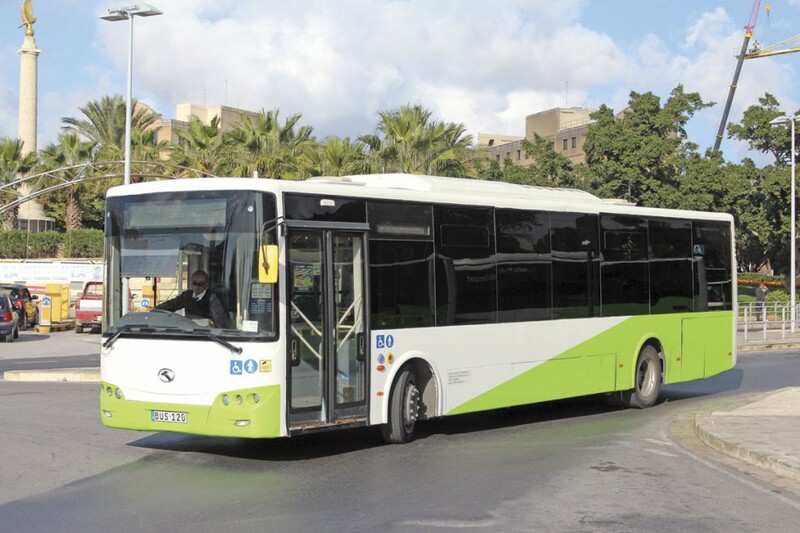 A lot has changed since and with its new Otokar fleet, a revolutionised ticketing system and the promise of a revised agreement with the union that will hopefully make operations better for all sides, there is every sign that the new Malta Public Transport operation will achieve the viability it needs to be sustainable in the long term. 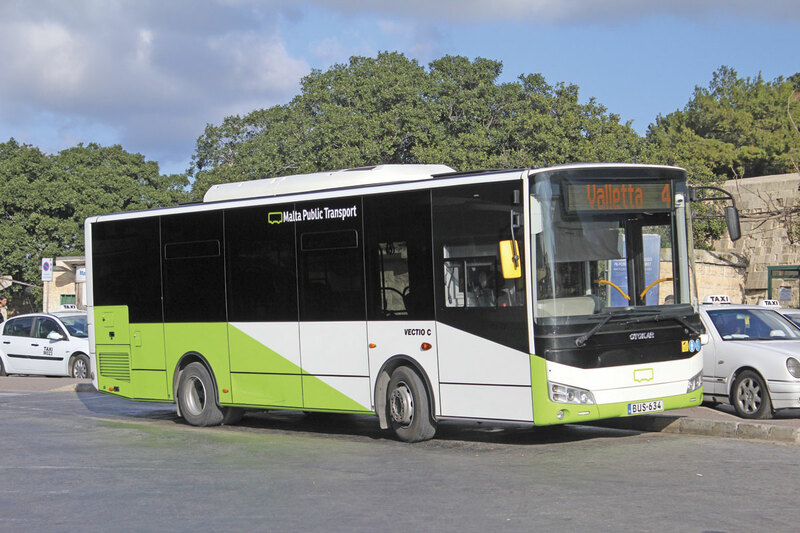 For Otokar, it is further demonstration of its ability to work with operators to develop buses to meet their needs and potentially another step towards the creation of a product line up that will convince UK operators, if not immediately then at some stage in the not too distant future.